HOLD TIGHT is the book that kick started the 'Grime Library'. Bursting into bookshops in July 2017 to rave reviews and a sold out event at Rough Trade East, HOLD TIGHT paved the way for Grime-related books such as Wiley's Eskiboy (Penguin 2017), Dan Hancox's Inner City Pressure (4th Estate 2018), and DJ Target's Grime Kids (Trapeze 2018, now being made into a television series). This new edition of HOLD TIGHT features new chapters for 2018, a brand new introduction from Boakye and a brand new cover. Celebrating over sixty key songs that make up Grime's DNA, Jeffrey Boakye explores the meaning of the music and why it has such resonance in the UK. Boakye also examines the representation of masculinity in the music and the media that covers it. 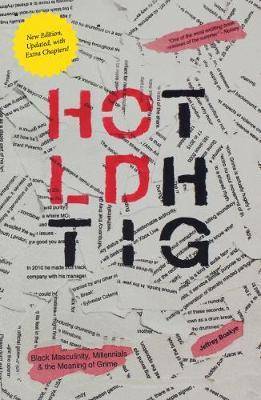 Both a love letter to Grime and an investigation into life as a black man in Britain today, HOLD TIGHT is insightful, very funny and stacked with sentences you'll want to pull up and read again and again.